Will Edison Run Detroit's Worst Schools? DETROIT  In August, Edison Schools, the for-profit school management firm, proposed to Detroit Schools CEO Kenneth Burnley that it manage up to 45 of the district's worst performing schools. The fact that Burnley himself announced the approach to reporters says not only that he and the district are open to the idea, but that the plan could actually be implemented. The question is, when? Since then, there has been no public word on the plan. Edison runs 108 public schools nationwide with a total student enrollment of around 59,000 students. The company already runs the Inkster school district, traditional public schools in Flint, Pontiac, Battle Creek, and Mount Clemens, and charter schools in Ferndale, Lansing, and Detroit. Under contract with Detroit schools, Edison would receive the full per-pupil payment from the state for every child enrolled in a school it managed. Edison has even offered to open a teachers' college in the city "if it were assured of a broad presence in the Detroit school system," according to The Detroit News. 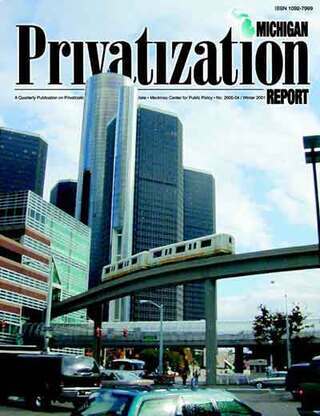 Detroit Schools Hungry for Food Privatization?